Please pardon the inevitable joke/reference in the headline. 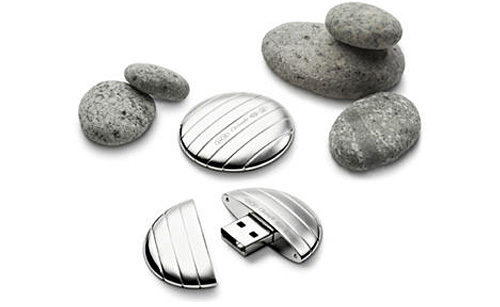 Flash drive cufflinks are nothing new. We wrote about a set back in 2006. 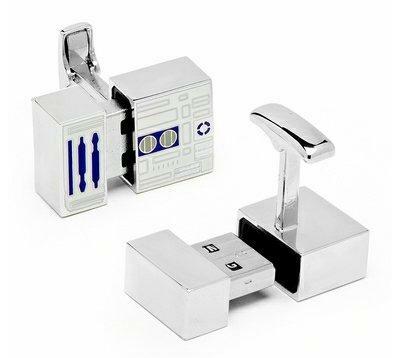 But officially licensed and painstakingly detailed R2D2 cufflinks? No, that’s new for us. The fact that they’re official means George Lucas will get a little bit richer still on every purchase. But since George needs to get his cut, and the manufacturer his, and the distributor too, and everyone in the chain… each pair costs $200. Yeah, that’s a ridiculous amount for a pair of sleeve buttons. But hey, you never know. Well heeled Star Wars fan should take note that they’re currently sold out, though a restocking date of july 9th is given. By Ian Chiu on 10/19/11 • Leave a comment! Mini Cooper makes one of the world’s most adored cars and is driven by some of the most fanatical drivers. 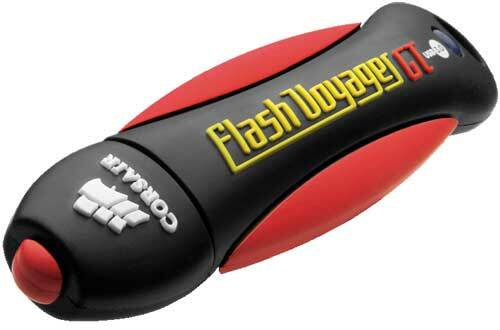 The Mini Cooper flash drive from Zero Basic has immortalized some of the more classic models delivered. The long history of the little car that’s won the hearts of so many of its owners stretches back more than 50 years. The varied life and many uses of the Mini has been produced as almost a diorama of the most notable stages. 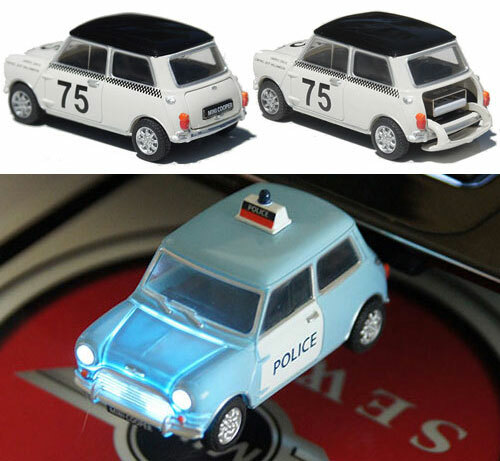 Each Mini Cooper flash drive sports 4GB of storage in a highly detailed rendition of 11 selected historic versions. With details down to tire treads and working headlights, the drives are made to cater to the hearts of Mini Cooper fans. The USB plug is also cleverly hidden away inside the trunk of the car and can be easily flipped out with a switch on the undercarriage. A sampling of the drives and a mini-history of each can be found at Everything USB. By Ian Chiu on 07/22/11 • Leave a comment! Anyone who has kept up with the megapixel boom in digital cameras knows the frustrating drawback of higher and higher resolution images: file size. Any recent DSLR camera is churning out images up to and over 10MB per picture and that’s ignoring video files. Filling up a 16GB memory card, which is almost the standard these days, wouldn’t take more than a few shooting sessions. Finally getting around to removing said pictures from their digital film canister could take hours. Flash memory has been bumped in speed a bit to be able to store high definition video and images but USB 2.0 card readers max out pretty quickly. 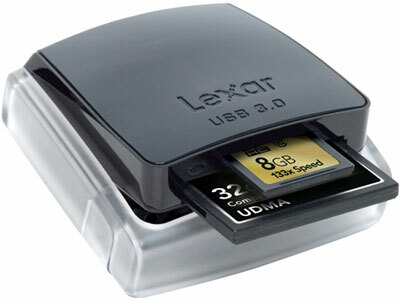 Lexar, a friend to digital photographers, has a new card reader that takes the leap to USB 3.0. Besides being fast, it has a compact and dust proof design that should make it easy to carry with your digital cameras. Newer, faster memory and this spry little reader gives you a fighting chance that you’ll be able to get all your one year old’s birthday pictures off your camera before he hits the terrible two’s. The jump from 40MB/s to 500MB/s sounds great but how does it actually fare when dealing with your average memory card. Performance, transfer rates and time are tested and graphed in a review posted at Everything USB. By Andrew Liszewski on 07/21/11 • Leave a comment! 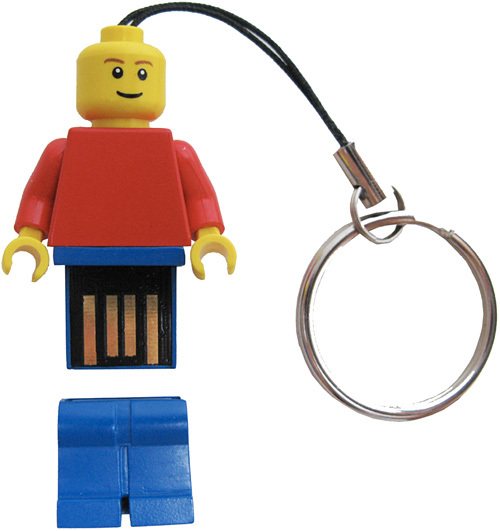 If there’s one market that has to be terribly difficult for manufacturers to distinguish themselves in, I’d imagine it would be USB flash drives. But a stroll around the floor at CES this year led me to conclude that there are 3 ways you can distinguish your product. 1) Design, whether slick, durable or straight-up novelty. 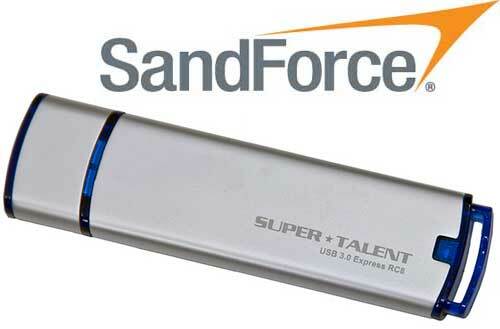 2) Capacity and performance, including read and write speeds. 3) Bundled extras. 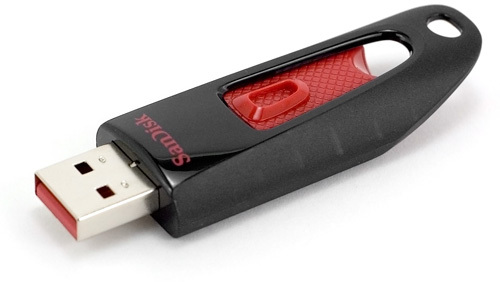 And SanDisk, one of the few bona-fide brand-names when it comes to USB flash drives, has covered a couple of those criteria with their new Ultra USB Flash Drives. Originally introduced at CES, the 8GB, 16GB and 32GB drives are finally available, and we had a chance to take one for a spin. More after the jump. At this point you know that carrying anything that looks like a concealed weapon isn’t the best of ideas, even if you’re not in an airport. 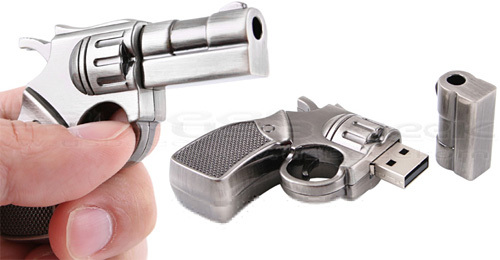 But if you prefer to live dangerously while toting around 4GB of data, here’s another gun-shaped flash drive to add to your portable storage arsenal. It’s “S&W revolver shaped design” is a lawsuit-free way of saying it’s designed to look like a Smith & Wesson revolver, complete with a metal housing. And because the manufacturer doesn’t have to pay any licensing fees to S&W, they’re passing the savings on to you since this will set you back just $23 from USB Geek. By Andrew Liszewski on 01/20/11 • Leave a comment! LaCie recently teamed up with French luxury brand Christofle and their new Galet USB flash drive is the result of that partnership. Hand-crafted in France from precious silver the Galet is supposed to be a luxury accessory like a fine pen or a designer watch, and as such it has a luxurious ~$150 (£94.99) price tag to match. It’s a little hard to fathom why anyone would drop that much money on just 4GB of storage that isn’t some obscenely fast SSD, but LaCie has always been known for their high-design storage solutions, and I’m sure they won’t have much trouble finding willing buyers for this one.